Careful movements allow us to perform tasks throughout our day like driving a car or hitting a golf ball. We learn to improve the performance of our movements by making mistakes during practice. 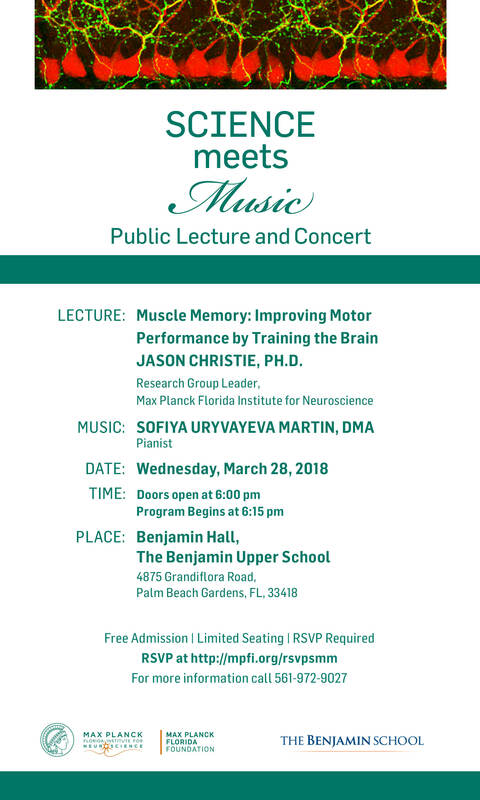 In his lecture, Dr. Christie will present his work examining how motor errors during mistakes produce signals in the brain that changes how it affects movements. Through advanced research techniques, it is now possible to “view” how learning signals are encoded in the activity pattern of neurons and then non-invasively coax these patterns into the brain to artificially implant motor memories despite the lack of real-world experience. This insight into the basic understanding of brain function bodes well for human health and may one day allow for new therapies that can help overcome the debilitating effects of motor impairment.